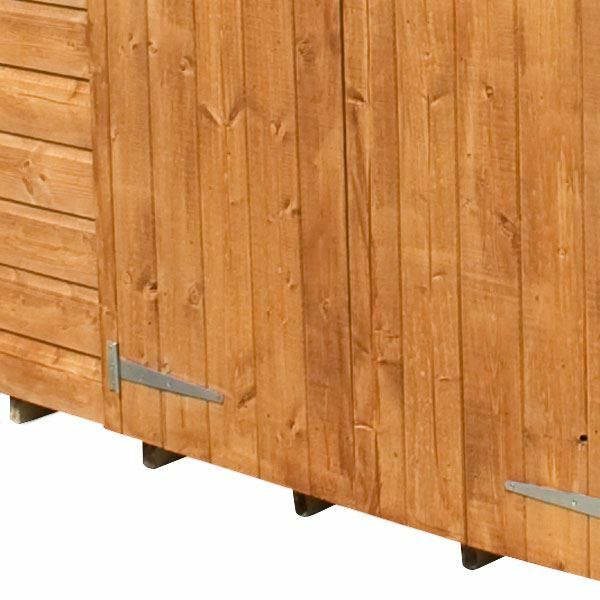 The 7ft x 5ft Waltons Overlap Pent Wooden Shed is a great option for buyers wanting storage space for a smaller garden. 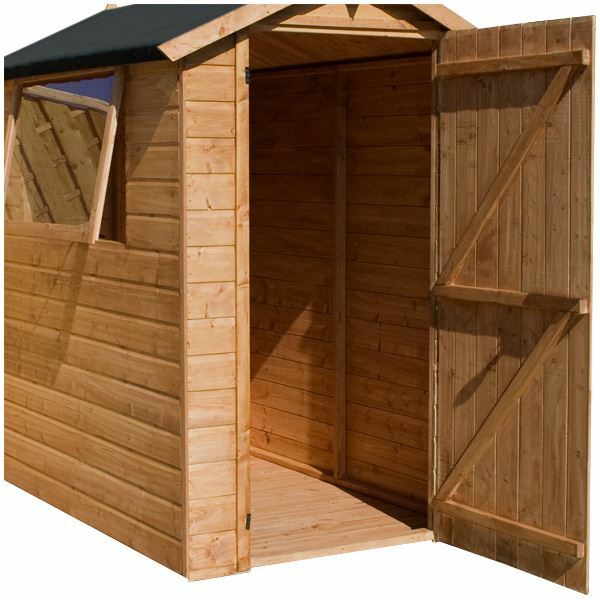 The high roof line makes this garden building ideal for storing tall items such as garden tools. The pent roof allows water to drain away, the supplied sand felt helps to protect the roof from adverse weather conditions. The 28mm x 28mm wooden frame helps to create a solid structure that will remain in great shape for many years. 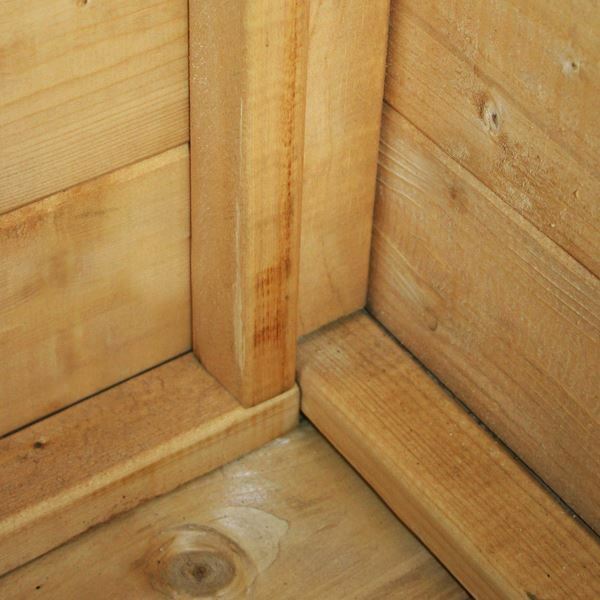 The walls are made from 8mm overlap cladding to create a rustic finish that is durable and water resistant. 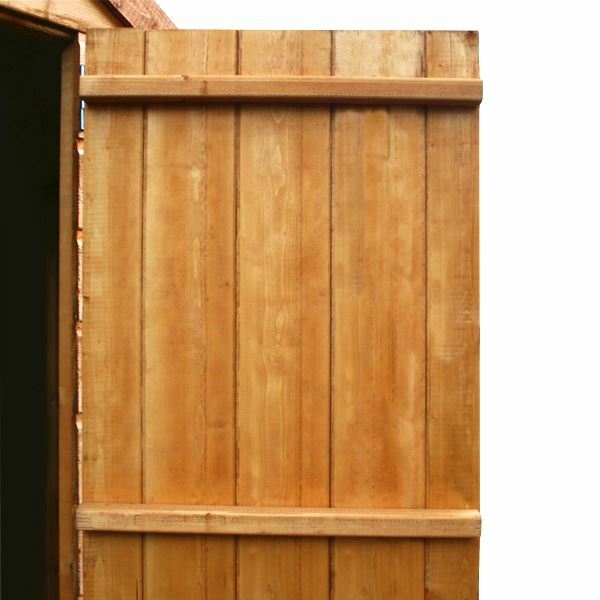 The large single door is braced with extra support to ensure a sustainable finish, a butterfly catch is supplied to keep the door closed when not in use. An additional padlock can be fitted if it is required. The window has been constructed from styrene glazing. The benefit of styrene glazing is that is 100% shatterproof, this makes it a much safer alternative to traditional glass. The roof and floor of the garden building are manufactured from a solid sheet material, making this garden building ideal for storing general items such as tools and garden equipment. Review:Poorly made product. Had to strengthen roof and door posts as very wobberly and I had to use stronger screws and more of them to ensure stability. Also had to pin window frame back in as had come away. Roof felt was cheap. Wish I had paid more for better shed. Thank you for leaving feedback. We do take these things seriously, it is a shame that you did not contact our customer services regarding the building and its faults prior to having to strengthen it as they would have been able to assist you. Our Reply:Good morning,We will carry out an investigation into the mentioned issues and take measure to try to prevent this from future occurrence. Thank you again for your feedback. 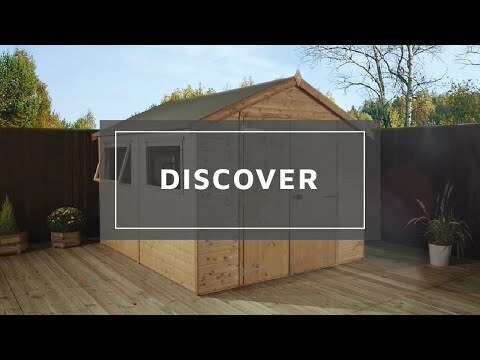 Review:We were looking for a budget-friendly shed, and after a lot of searching we decided on this one from Waltons. It was a pent in our budget, and the other reviews were positive. I am glad to know that you are happy with the quality of your overlap shed and I thank you again for your positive review. Review:Perfect for what we wanted. Extra storage as our garage was full! Some of the wood panelling is a little rough (hence 4 stars) but was easy to assemble & does the job. Great to know that your so pleased with your purchase. Thank you for letting us know that your pent shed was simple to assemble, and that your shed is the perfect purchase for what you needed! Thank you so much for your brilliant feedback! I hope you enjoy your new overlap building for many years to come. Review:shed ok, fit for purpose, cheap and cheerful. Treat the wood and it will last longer. Review:Very good service. Product good value for the money. 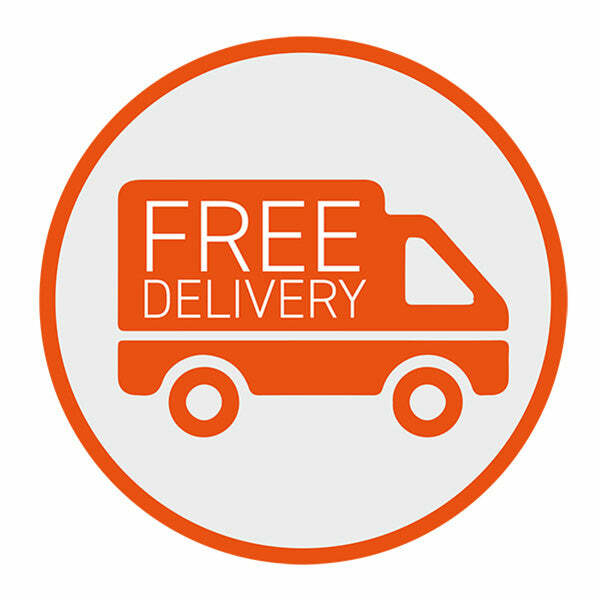 It is fantastic to know that you are happy with the quality and value for money of your overlap shed and I thank you once again for your great feedback. It is great to know that you are happy with the quality of your overlap shed and that assembly went well due to the instructions being easy to follow. Thank you again for your positive review! Review:Good product & easy to assemble, instructions where well laid out & easy to follow. The only small niggle was that the metal bolt for the door was bent at the back, so we had to replace it, but not a problem. Review:Shed is now just about built apart from roof battons. Seems plenty strong enough. Walls rigid as is the floor. Our Reply:Thank you very much for your review, it's great to hear that you are happy with your new overlap building. Review:Easy to build and of good quality for a fair price. Our Reply:It is great to know that you are happy with the quality of your overlap shed and that you found it was easy to build.